Great energy, solid sense of humor, hugely informative, and presented with great flair and well interspersed jokes and references. Great choices of video clips and artwork… I mean, the amount of research that clearly went into this show and the amount of love Mandall has for the topic is positively STUNNING. The last song wasn’t quite up to the quality of the others he performed. Other than that… I guess keep practicing the theremin? The thing takes forever to master, so it’s not much of a criticism. I came in a little skeptical based on the description, and I left completely delighted. 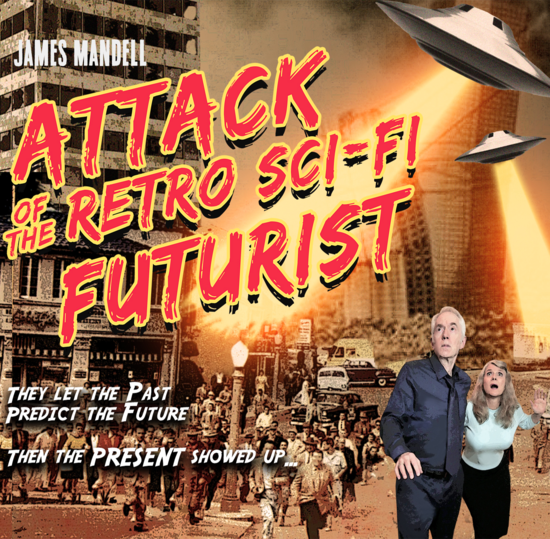 Informative, funny, charming, and relevant, James Mandall does a great job enthralling an all-ages audience with the story of science fiction, with some original songs on the topic sprinkled in for good measure.. Great fun, highly recommend for sc-fi fans!